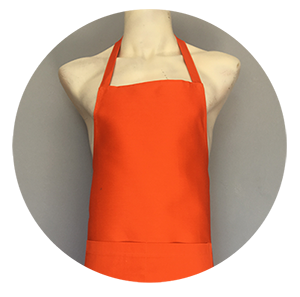 Bib Aprons, Waiter Aprons and Branded Aprons. Loose fitting, Boxed fitted or Stretch fitted. 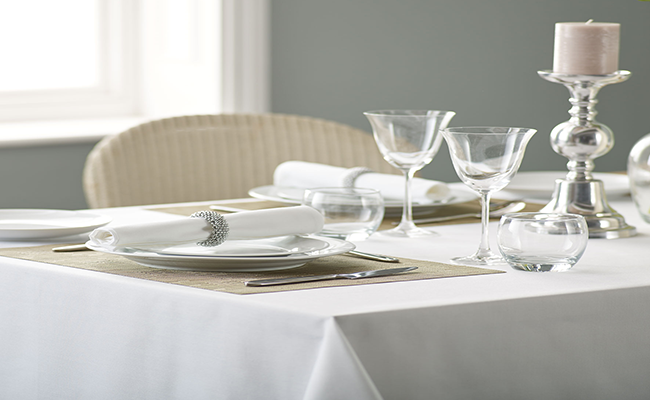 Event Décor Design manufactures table linen using the finest quality fabric, custom made to our clients’ specifications. 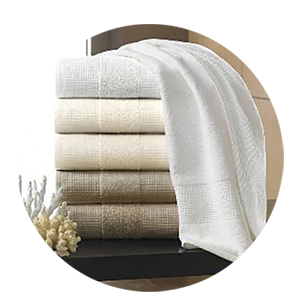 Towels, Gowns & slippers for Beauty Salons & Spas. 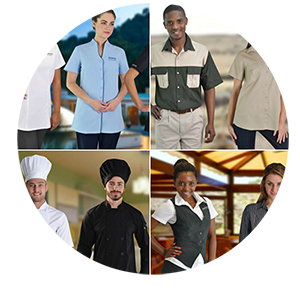 Uniforms project a professional image and effectively promote a company brand. 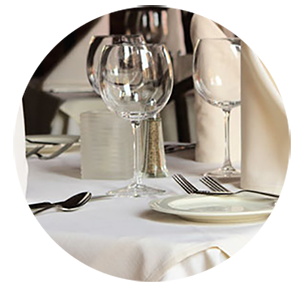 Event Decor Design, established in 2011, is a manufacturer and national supplier of quality event décor, table linen, bed linen & aprons. Our company has a strong client base consisting of lodges, restaurants, wedding venues, conference venues, event management-, promotions- and brand management companies. Event Decor Design continues to offer you the best service, finest quality products at the most affordable prices. We also offer branding options such as silkscreen printing, embroidery and heat sublimation printing. 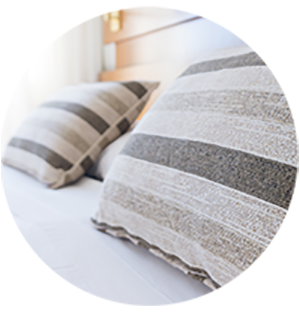 Our team of highly skilled designers and seamstresses are ready to provide solutions for your branding and decorating needs. Hi Izel The aprons look stunning. Thanks again! Hi Izel Thank you very much for everything you have done a great job my boss is very happy with your work. Have a great festive season! Bryan MncubeBrandlogix SA Pty Ltd.
We would like to thank Izel from Event Décor Design for going the extra mile and delivering on our extremely tight deadline. We are truly impressed with the tablecloth and would definitely recommend her services! – Dontache Media” Thank you once again for your service – the stand looked great with the tablecloth! Morning Izel, I trust that this mail finds you well and in good health. Thank you so much for the order. Just fitted the covers to the plinths and they look amazing. Hi Izel, Thank you for dropping off the aprons. They look amazing! Once again excellent service. An email has already been sent from your couriers confirming collection and delivery for Friday. Thanks to Paula for finding you. Hi Izel Please find some pics attached. Thanks J They look so awesome on campus! Hi Izel, The new table cloths and runners looked stunning at our conference exhibition! Thank you. Continues to offer you the best service, finest quality products at the most affordable prices. 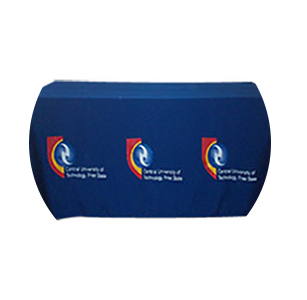 We also offer branding options such as silkscreen printing, embroidery and heat sublimation printing.